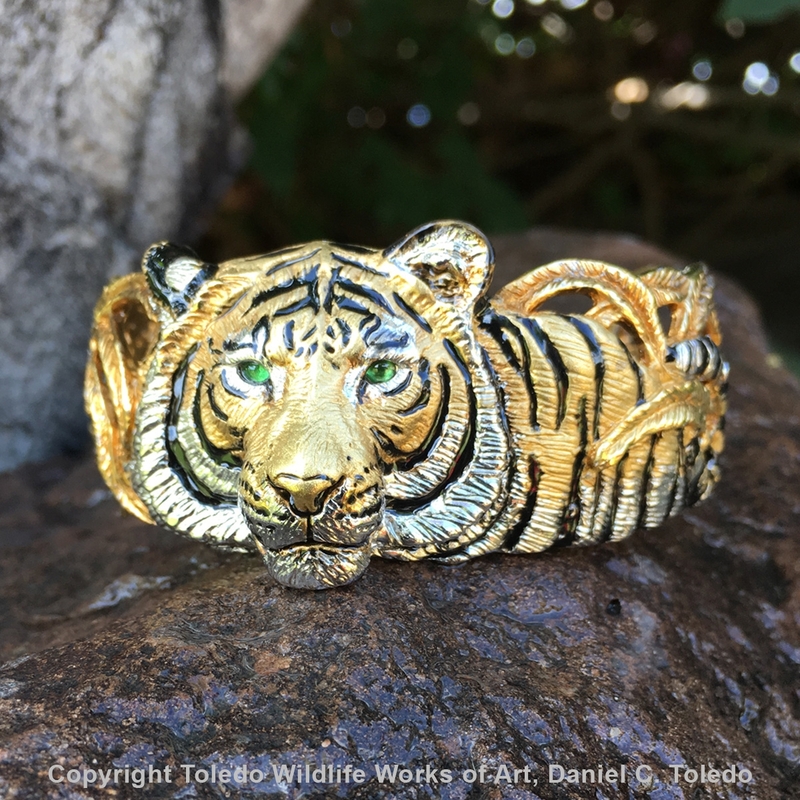 "Cat in the Grass" Tiger Cuff Bracelet unique design captures this Bengal tiger in the tall grasses of his home. 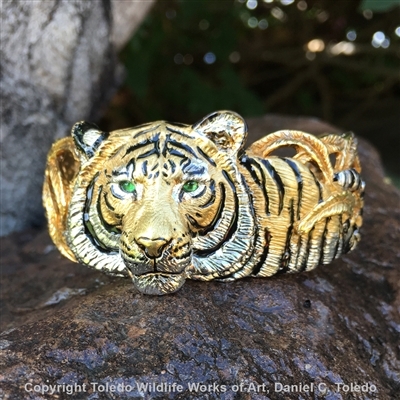 Daniel Toledo captures this exotic beast in this unique detailed piece that demonstrates the artists knowledge of his subject matter. ELEPHANT PENDANT "MASAI MONARCH" COUGAR PENDANT "SHADOW CAT" TIGER RING "ROYAL BENGAL" GIRAFFE PENDANT "ELEGANT ONE"
GRIZZLY BEAR PENDANT "TERRY'S BEAR" TIGER PENDANT "BENGAL MYSTIQUE" LEOPARD PENDANT "SILENT BEAUTY" POLAR BEAR RING "CONQUEROR OF THE NORTH II"